Now senior vice president of business and legal affairs for Vubiquity, Perez loves practicing law, and is grateful that she made the decision to become a lawyer at an early age and stuck with it. Her daughter is now attending UCSB while her son goes to University of California Riverside. “Education is one of the best gifts I can give my children, and I feel honored and privileged to be able to do so,” Perez says. Having had several mentors over the years, Perez places great value on the importance of finding a trusted advisor. Her UCLA communications law professor, Charlie Firestone, now executive director at the Aspen Institute, was one of them. He encouraged her to intern in Washington, DC, which she did, becoming the first intern for what is now known as the National Cable Telecommunications Association (NCTA). Soon after her move to DC, NCTA’s general counsel recommended her to the National Association of Broadcasters’ (NAB), and she was hired out of 350 applicants for the association’s legal fellow position that year. Now, Perez makes sure she gives back in the same way. She has been a mentor for students at UCLA School of Law, and at Newport Harbor High School, where her children went to school. She recently served as an advisory board member for the Southern California chapter of Alliance for Women in Media. She also serves on the Board for two community homeowners associations. She then switched gears and went to work for The Times Mirror Company as Times Mirror Cable Television’s (TMCT) chief lawyer, which made her responsible for the legal affairs of the cable operation giant. Over the next eight years, she was promoted four times until TMCT was sold to Cox Communications. Two weeks later, Perez had her first child. She got right back in the game, and started with StarSight Telecast in Silicon Valley as general counsel and corporate secretary, managing the legal work associated with prosecuting and monetizing them. “After a year, with a second child on the way, a husband with a business opportunity, and grandparents back in Orange County, we moved back to Southern California, where I decided to start my own practice,” she says. Twelve years and many clients later—including The Outdoor Channel, TechTV, MGM UPS Systems, and TVN Entertainment Corporation—Perez found herself at a crossroads because of the success of her practice. After becoming part of the TVN team as general counsel and senior vice president of business and legal affairs, Perez helped expand the business in Canada, the Caribbean, Chile, Mexico, Turkey, and throughout the United States. 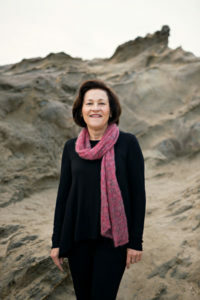 When the company was acquired by Avail Media Inc. in 2009, she stayed on as senior vice president of business and legal affairs at the Los Angeles office. Avail then acquired the On Demand Group in the UK and Juice Worldwide in Toronto. In 2013, the company’s name was changed to Vubiquity. Vubiquity connects content providers with content distributors, enabling their content to be viewed anywhere on any device. Perez’s main challenge is business consolidation and continued growth. And her strategies are succeeding. Just in the past few years, the company has expanded globally. Handling legal affairs for Vubiquity on both domestic and international deal structures, managing and negotiating the commercial contracts from content supplier to distributor, and otherwise working with the various departments to support them, Perez is essential to company success. Equally important, she says, is making sure she and everyone at the company maintain a healthy work/life balance. Beyond growing the business, Perez is an active participant in Vubiquity’s wellness program. She loves to ski and sail, and attends and supports Vubiquity’s daily fitness classes. “Fitness and healthy living are essential to a fun and balanced life, giving me the physical and mental ability to keep succeeding,” she says.